Raising a child alone can be a daunting task no matter how well equipped you think you may be, and it can help immensely to equip yourself with information that will make the transition to ‘newly single parent’ a little easier. There will undoubtedly be moments where you feel that you don’t have the answers to many of your questions, but the most important thing to consider and keep in mind is the integral role you are now playing in your child’s life. This can be hugely rewarding and setting up a support base for both you and your children will enable you to survive those harder moments, and ultimately derive great joy as you watch your children grow under your sole-guided parenting. Our inclination as parents is to put our children’s needs at the forefront of everything we do. Loving and raising a child is a demanding job, as is the pressure on a parent to ensure that our children are well-adjusted and successful can lead to even the healthiest marriages feeling a little neglected. So what do you do when you become the sole carer and the room for ‘Me’ time seems to become incredibly elusive? It is always very important to remember that the likelihood of your children being greatly affected by their circumstance is at best determined by the way you take time to nurture yourself and work through the issues at hand. Make no mistake there will be times when this is easier said than done, but children who are raised by parents who are stable and in-tune with their feelings, often leads to success in their own personal relationships outside of the family home. Establishing a household that is a place of trust is better done with a parent who is able to deal effectively with problems rather than a parent who is running to try and ‘put out fires’ all the time. Establish a support network. The demands of being a single mother can be incredibly lonely and it helps to know that there are people who will gladly step in to help you by listening to your concerns or by taking the children for a few hours, so that you can get a well deserved break. Establish a boundaried routine. This is just as important for your children as it is for you. Set times with your children for the basics such as mealtimes, bath time and Bedtime. Certain times of the day should be exclusively for personal ‘alone’ time, and whilst life with children can be unpredictable, knowing that everybody respects your free time, will help you be calmer in the more chaotic time. Treat yourself gently. Even if there is a mountain of ironing and dirty dishes that need attention at home, once the kids are tucked up in bed, find something to treat yourself. This can simply be having a long bath or doing a hobby that you enjoy. Many newly single mothers are discovering the benefits of blogging. It not only gives you an opportunity to write about how you are feeling, but it also opens up web-based support. Sometimes it helps to know that there are others who are in the same situation and sharing your stories can be incredibly empowering. Get out and about! This is healthy time with you and your child/children. Go to the park or the zoo and enjoy the simple things that are on offer. Many single parents find that the financial burden can be overwhelming; however there are lots of fantastic websites that offer tips and ideas for having as much fun as possible on little or no money. Simply walking around a park, playing a little ball and having a small picnic can produce some very special memories for both you and your children. The relentlessness of having to deal with all the practical problems can take up a lot of your valuable time, especially when you are single as a result of divorce or death. There may be moments where you feel you have little time to focus on the emotional well-being of your new family unit because making sure that physical needs are met becomes all encompassing. Developing a strategy to handle and run your home will enable you to devote more time to the sensitive issues at hand. For majority of single mothers, the most difficult practical issue to deal with is financial. Many women not only become sole carers, but also take on the responsibility of being a financial provider single-handedly. Establishing a support network (as mentioned in Nurturing Tips) can greatly ease the burden of having to divide time between work and your children. Leaving your child in the care of a trusted and loving person can alleviate some of the strain on you. Depending on the age of your children, this can come in the form of family members, friends, daycare, schools and after-school clubs. It is strongly advised that you take a good look at what you can afford and work around that. It is no use sending your child to an expensive care-giver, only to realize that you simply cannot afford to spend quality time with your child, as the demands of your finances are greater. Once you have established what your weekly/monthly income will be, make a household budget. Knowing exactly where your money is going and which costs are non-negotiable will to a certain extent stop you having to deal with an immediate crisis with no funds. Take all costs into account from the bigger house payments, transport, and childcare to the smaller things like toiletries. It is also vitally important to establish what is available to you in terms of medical care. Children unfortunately do get sick and doctors’ fees can blow all your best made financial plans out of the water. Look out for discounts and sales. Supermarkets often send out coupons and have great sales and these can help greatly to bring down costs. Keeping an eye on your overheads, such as electricity and water are also advised and in the process can be a great opportunity to teach your children to become water-wise and learn about saving energy. Routine is as beneficial practically as it is emotionally. Planning your days will help you to get a firm hand on the tasks you need to complete each day. Single parents are doing what is traditionally a two parent job and establishing a routine will ease the strain on an already full schedule. Undoubtedly the challenges of raising a child can be the most overwhelming experience any person can experience and if you have recently lost a spouse through divorce or death, helping your child through this can be tentative at times. Even if you are a parent who has actively decided to become a single parent, there will inevitably be questions that require answers and it helps to prepare yourself for these moments. Examining the common problems and insecurities that your child/children may have to face is a good starting point, it is however worthy to note, that some children navigate this new life more easily than others – your experience with your children is personal and dependent on the structure and relationship that you have raised them in before and the manner with which you carry these values forward. Communication difficulties: Some children are more extroverted when it comes to expressing their feelings and others tend to keep their thoughts to themselves. Some children may find it difficult to voice their concerns or view them as superficial or ‘silly’. Difficulty accepting a new routine: Change is inevitable when your household goes from dual-parenting to single parenting and some children will battle to come to terms with the new rules for Moms house. Envy of more traditional families: Society has some concepts of ‘norms’ and the nuclear family unit still seems to lead the way. Children may wish for that ‘whole’ family unit, especially is they have lost a parent through death, or if their households have been split due to divorce. Attention-Seeking: Becoming a single parent can very well mean that you have to carefully split your time between earning a living and time spent with your child. This can be particularly unsettling for children who have had a stay at home parent. Splitting: When a divorce becomes a volatile battleground, children can often feel like they have to defend both parties. This can come in the form of setting off parents against each other and sometimes having to defend a parent. This can be incredibly confusing for children as most of them have equal adoration for their parents. Psychological Issues: Whilst children are also susceptible to psychological problems, this seems to play out more widely in the teenage years. Some of the aforementioned points can sound quite scary and leave you scrambling to try and avoid these issues at all costs, so what can you do as a Single parent to help your child manage? Open Communication: Establishing a safe environment where your child feels his/her feelings are valid can help eliminate many problems. Even if your child’s questions may seem unimportant or abstract to you, they may well be incredibly important to a young mind. Many children act out because simple things have not been voiced and letting your child know that you support them and will listen attentively to their concerns is important. Even if your child feels that they do not want to say anything, let them know that you are there and ready to listen if they feel they want to. Teenagers commonly find it difficult to confide in parents, so it is helpful to aid your child in finding positive mentors or outlets to express their feelings. Routine and Familiarity: Whilst it is an excellent idea to establish a routine that focuses on your single parent family, it may help to include aspects that are familiar to the children. Try as far as possible to stick to what is known and slowly introduce changes. 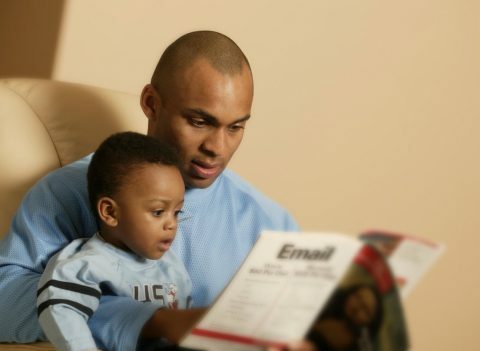 Quality time: As a single parent, time management can be all consuming, but where possible, try to ensure that the time spent with your child is of quality. It is the perfect opportunity to get to know your child even better and to have a little fun. Outings, crafting and quite simply watching a movie together provide moments to help your child feel secure. It may also help your child to open up and have conversations with you. The idea is for you to relax together and to forget the monotony of daily life. Support Networks: Encouraging your child to pursue a hobby or team sport can be incredibly rewarding. Not only do you get to be a cheerleader and have a lot of fun, but your child gets an opportunity to meet people from all walks of life, create new friendships and ultimately create a stable environment outside the home, that can be trusted. For children that are struggling with grief or in need of a more intense support structure, there are many excellent child counselors and a range of books that are aimed at helping children to cope with their feelings. Being a newly single parent does not necessarily have to be a task based on fear. It can be incredibly rewarding watching your child grow into a stable, healthy individual. The key is balance and a lot of love and nurturing. It is ok not to have all the answers and you should not be afraid to ask for help or advice where you feel you need it. Even if you have actively decided to be a single parent family from conception, many of the points discussed above are issues that most single moms/dads have faced. It is a wonderful opportunity to get to know your strengths as an individual, as well as a time where you or your child can develop an even deeper and meaningful relationship with each other.